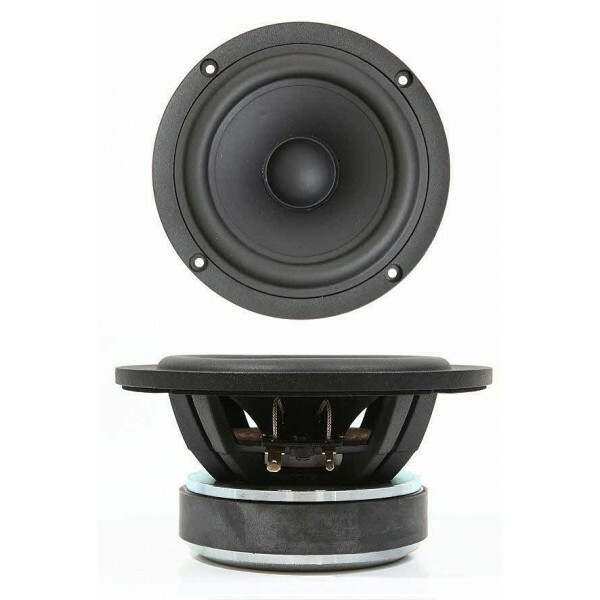 SB Acoustics SB15NRXC30-4 5" MidWoofer is an excellent well known SB Acoustics Ferrite magnet 4 ohm midwoofer, featuring a high efficiency low damping rubber surround. SB Acoustics SB15NRXC30-4 5" MidWoofer is an excellent well known SB Acoustics Ferrite magnet 4ohm midwoofer, featuring a high efficiency low damping rubber surround. Used by several OEM manufacturers. Fitted with a proprietary composition coated paper cone, 1.2" voice coil. Very open cast frame for minimal reflections. Extended copper clad pole piece for lower distortion. Fs 41Hz, good level midrange response, a very flexible unit. For an 8 ohm version, see SB15NRXC30-8.